Anchorage 5th Avenue Mall is a distinctive, five-level shopping center located in the heart of downtown Anchorage, Alaska. Featuring more than 110 stores plus incredible dining options, the center offers an unique shopping experience like nowhere else in Alaska. Many fine upscale brands have chosen Anchorage 5th Avenue Mall as their exclusive location in the state including The Apple Store, Banana Republic, Coach, Lush Fresh Handmade Cosmetics, Lululemon Athletica, Michael Kors, Nordstrom, Pandora and Victoria's Secret. With no sales tax, gift shopping or finding the perfect piece of Alaska art just makes sense here! This shopping destination is the perfect stop for a quick weekend trip, mini getaway or vacation with the family. Take a trip to this Simon mall property and discover why the shopping center is one of the area's main shopping stops. Enjoy an assortment of delectable dining options at one of the available restaurants or grab and go stations while shopping for an experience that is truly unlike any other. You'll love the shopping, dining and attractions readily available in the area. 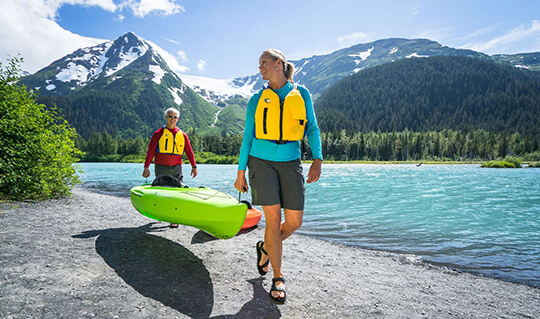 With more than 22 hours of daylight at the peak of solstice in June, the people of Anchorage really know how to pack a day with activities and attractions. The Anchorage Museum at Rasmuson Center neighbors the mall and recently completed an expansion that grew the space to massive proportions. The highlight for any visitor is the Smithsonian Arctic Studies Center, with hundreds of distinct Alaska Native artifacts. Walk through Alaska's remarkable past and trace its history as shaped by Alaska Natives, Russian trappers, gold rush seekers, WWII military, the oil boom and modern day – The Anchorage Museum is a must and just one block from Anchorage 5th Avenue Mall. From French to Thai and Greek to Korean, Anchorage sizzles with international flavors and local favorites to satisfy any craving. Alaskan seafood often takes pride of place; the only way to get it fresher is to grab a reel and head for the water. 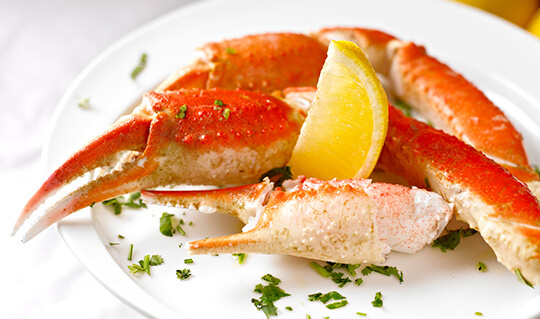 Home of the Alaska King Crab, Sullivan's Steakhouse is located on the street level of Anchorage 5th Avenue Mall. This restaurant is where you can treat yourself to some of the best food, drinks, music and atmosphere at a one-of-a kind steakhouse. At Crush Wine Bistro, you can find over 40 wines by the glass, a global beer selection and tasty dishes in a hip and cozy atmosphere at the southeast corner of the mall. Located on 4th avenue, Ginger restaurant offers pacific rim cuisine in a warm and modern environment. Anchorage is a youthful, vibrant city with every flavor of nightlife imaginable. Dance the night away under the midnight sun or trade the northern lights for stage lights. As Alaska's cultural hub, the city is a showcase of established and emerging performers from around the state. 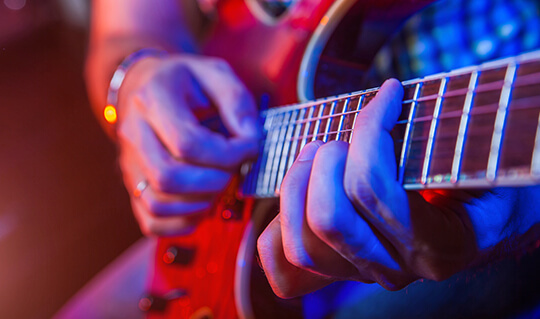 Catch a local theatre production at Cyrano's Theatre Company, or opt for a performance by the city's symphony and opera at the Alaska Center for the Performing Arts. The Anchorage Concert Association allows you to select from national Broadway productions and other shows that have touched the globe. If sports is your gig, catch a game under the bright lights. See tomorrow's big-league sluggers on the field at Mulcahy Stadium during the Alaska Baseball League summer schedule or watch hard-hitting Alaska Aces hockey at nearby Sullivan Arena. Anchorage is bursting with accommodation options. The Anchorage Marriott Downtown is one of the only full-service, luxury hotels in Anchorage and is located four blocks from Anchorage 5th Avenue Mall. 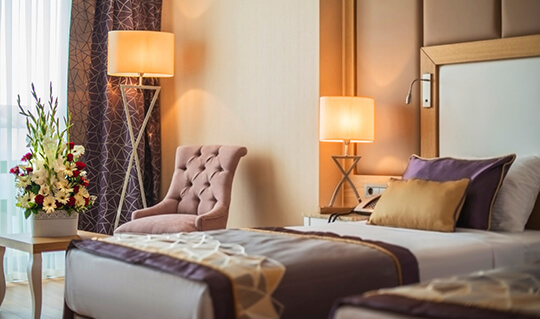 Guest rooms feature oversized picture windows that frame striking views of downtown Anchorage, the Chugach Mountain Range & Cook Inlet. The Hilton Anchorage is two blocks from Anchorage 5th Avenue Mall and provides a comfortable stay in a stylish guest room. Staying at the Hotel Captain Cook in downtown Anchorage, you can expect exceptional, service-minded and genuine Alaskan hospitality. All guestroom and suite accommodations command panoramic views of the Cook Inlet or Chugach Mountains. The Hotel Captain Cook is located four blocks from Anchorage 5th Avenue Mall. From the north, take the 5th Avenue exit from Glenn Highway. Continue straight for 4.5 miles and the center will be on your left. From the south, take New Seward Highway North and merge onto Ingra Street. Continue north for three miles and turn left on 5th Avenue. Continue for 1 mile and the center will be on your left. From Ted Stevens International Airport, head east on West International Blvd for 2 miles, then turn right on Minnesota Drive North, toward Downtown. Continue for 2.5 miles and turn right onto W 6th Avenue. Continue for 1 mile and the center will be on your left.